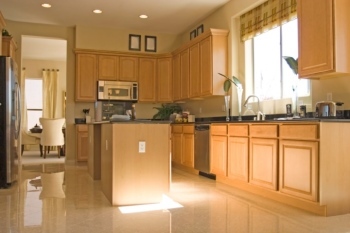 Allure Home Improvement & Remodeling, LLC has provided spectacular Kitchen Remodeling services since 2007. Nothing freshens and updates a home like a brand new kitchen. Let Allure Home Improvement & Remodeling, LLC help to create a space that you'll enjoy working in, gathering in and entertaining in for years to come. Whether you are looking for a few simple updates to modernize your kitchen such as a new countertop or cabinets, or require a full kitchen remodeling job, Allure Home Improvement & Remodeling, LLC is the contractor that delivers! We'll work within your time frame and budget to provide the kitchen enhancements that you require, and a few extras that you covet! Allure Home Improvement & Remodeling, LLC can help you choose architectural styles that will blend your new kitchen with the current look and feel of adjoining rooms. Whether you already have designs or need help configuring the space, the remodeling experts at Allure Home Improvement & Remodeling, LLC are skilled in working with customers from start to finish. We'll help you consider work space needs and styles that will create a flow from room to room within your home. Working within budget does not mean cutting corners. Allure Home Improvement & Remodeling, LLC remodelers take great pride in catching the details. From seamless cabinet installation, to configuring lighting that is tailored to your unique work station and entertaining needs, our kitchen enhancement professionals don't miss a trick. Call Allure Home Improvement & Remodeling, LLC for a kitchen remodeling quote today and find out what we can do to make your remodeling visions a reality.